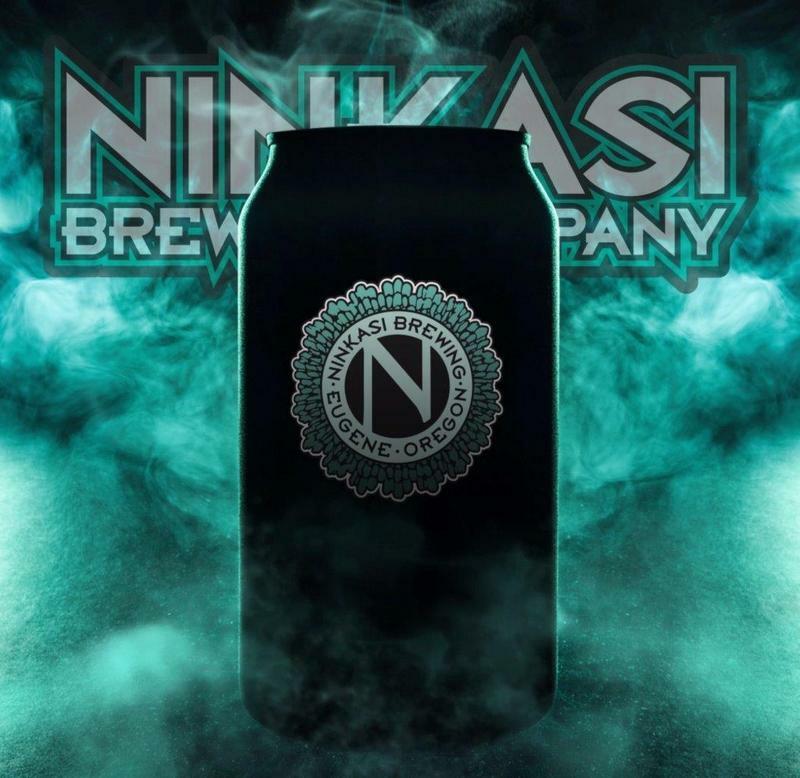 This image makes Ninkasi look pretty metal, so I ran with it. If you’re wondering what all that noise is: It’s the American beer market airing some of its grievances. The debate started yesterday when Pete Coors, chairman of Molson Coors’ board of directors, posted an “open letter” to the Brewers Association (BA), but aimed at the entire craft market, admonishing the BA for being divisive. Coors pointed to last week’s Craft Brewers Conference and BrewEXPO America in Nashville (the BA’s big event), feeling its message to brewers and consumers was anti corporate beer. Did you hear a monocle cracking? We received an overwhelming number of emails from readers offering their thoughts on Pete Coors’ open letter to the Brewers Association [see BBD 05-07-2018]. The vast majority were favorable to the letter (with “spot-on” being the most common refrain). Spot-on! Well, these folks here thought it was spot-on, but Nikos Ridge, not so much. Read his take below, and then give us your takes in the comments. Everyone, please, be as brutal as possible. Pete Coors: Congratulations on the remarkable attendance at this year’s Craft Brewers Conference in Nashville. The high turnout speaks to the interest and passion that brewers, suppliers, and the general public have for beer and the brewing industry. Nikos Ridge: Specifically, it is the interest and passion people have for the Craft Brewing Industry, which drives this event. This year, more than 14,000 attended the Craft Brewers Conference. Also organized by the Brewers Association, the Great American Beer Festival brings in more than 60,000 people, largely due to customer excitement for craft brewers, innovative beers, and their support of independent, entrepreneurial business people. P.C. : As a paying member of the Brewers Association I enjoy my subscription to The New Brewer. It is the reason I have taken the time to write a point of view concerning the ongoing vitriol expressed in its pages and most recently reaffirmed by BA Chairman Eric Wallace and President Bob Pease toward the large, non-independent brewers. N.R. : The New Brewer is the magazine of the Craft Beer Industry, which is in fact, a very different industry from multinational conglomerated brand organizations like MillerCoors. If you don’t like what our industry has to say about how you work to undermine and control it, then all I can say is: what exactly should craft brewers do about it? It seems you’re suggesting we start advocating a position more supportive of companies like yours. Companies that have all the power, confuse customers, and obfuscate origin in order to cash in on the goodwill built by hard-working craft brewers. P.C. : The brewing industry is not exclusively made up of “large, multinational brewers” or “big brewers” or “faux craft brewers.” It is not exclusively made up of “mass produced” beer, craft brewers or home brewers. Rather, the beer industry is a combination of large and small brewers, retailers, distributors and suppliers who are passionate about their craft and committed to their businesses. And, they are passionate about competing for the millions of American consumers who love beer. N.R. : Correct. The problem arises when certain tiers within the industry (large multinational brewers), work to obscure the origins and manipulate the market to their advantage. By disguising beer brands as “craft” and using the market power and tactics available to huge organizations, you deliberately mislead customers and damage the industry. P.C. : The leadership of the Brewers Association does a great disservice to the entire beer value chain by attempting to pit one part of the industry against another. Here’s an article from Reuters about one of the hundreds of attempted and ongoing efforts underway. Apparently there isn’t a line being followed (Thanks, Seattle Weekly). And when it comes to misleading customers, here’s one more. P.C. : You must know that it is insulting to those of us who don’t meet the clever criteria of your self-proclaimed definition of “craft brewer.” This approach prioritizes insults and division over unity for a beverage that has been used to unify and celebrate together for generations. N.R. : What’s insulting is for you to lie to craft beer customers about the origins of their beer and then argue that it’s a problem when we [craft brewers] point it out. Why don’t you call it “MillerCoors Hop Valley?” Because you know what you purchased is the ability to lie to customers and to cash in on craft credibility. If you didn’t, then how about you claim it, with the pride you seem to have for what you’re doing? I think we’re aware of the reasons why you don’t, and in fact, you go to great lengths to cover it up. P.C. : Should the highly educated and trained brewers who work for large brewers or the breweries that have been purchased by them be included in the disdain you seem to have for them? Should the quality of beers produced by them, including hundreds of quality medals be insulted by the Brewers Association simply because the parent company isn’t part of your ever-changing “club?” Didn’t all large brewers start as craft brewers? Don’t all craft brewers wish to grow and be prosperous? N.R. : This industry is, and always will be, about the people. There is massive respect for all the incredible minds at work in larger breweries and throughout the industry — it’s the corporate tactics we disdain. All people are valuable and should be respected, but companies aren’t people. When companies lie and cheat to get their objectives met to the detriment of small business, I think it’s okay to take a stand. Also, not all craft brewers are oriented towards growth. Many want to build a good quality of life in their community and for their teams, something that isn’t based on continuous concentration, consolidation and market control. P.C. : We share distributors, many of whom would not be able to distribute Brewers Association beers without the scale provided by the large brewers. You claim that your members are precluded from distribution at retail, while I visit account after account that do not carry any “big brewer” products. N.R. : I believe that these are the same distributor partners who legislated heavily (and effectively) to protect themselves in the past through franchise laws, shielding them from the same kind of power wielding, “all for me” mentality that still is at the forefront of large brewer approaches to the marketplace. Our distribution partners are what make our business possible, and we make them a lot of money as well. There are many retailers that don’t carry our products, because we’re too big or not local enough. So what do we do? We innovate and create relationships. We don’t buy brands and mislead customers. P.C. : Competition in our industry should be honored and cherished. I agree with you that craft brewers are “exemplars of the American Dream, of entrepreneurial spirit.” However, you must realize that big brewers are as well. There should be no room for cheap shots and insults (“faux”, “crafty”, “capitulated” beers) for each other. N.R. : Fair enough, but from my perspective, calling out someone for actively misrepresenting themselves to customers and working behind-the-scenes to damage competitors and drive down choice isn’t really a cheap shot. It’s a necessity. P.C. : That is a slippery slope that does not end well for our industry. We have enough competition inside the beer business and outside it with wine, spirits and, increasingly, marijuana. N.R. : I might say that we have more in common with small producers across industries than with the vertical players in our own industry. Craft brewers face similar access to market issues, high costs and challenging incumbents. Our only chance is to come up with innovative, exciting beers for customers who care enough to support what we do. More marijuana, craft distiller, small winery, and craft beer collaborations down the road perhaps? P.C. : You undermine your credibility by pitting us against one another to the ultimate detriment of the entire beer industry. N.R. : I think we could easily correlate the current trends in the industry to the rise of Faux Craft and macro-owned craft. There is a problem when, because of market power, conglomerates drive distribution of lower velocity products, killing customer excitement and trends that were a hallmark of independent craft beer. This is bad for our industry, our distributors, our retail partners, and especially our customers. Look at the top Faux Craft brands, declining and dragging down the industry as a whole. Who is winning? It’s still the independent, regional, and, in particular, new and local craft brewers, hitting the market with exceptional products, customer engagement and exciting stories. What undermines our collective credibility is when large brewers lie about origins, trick and confuse customers, while legislating against other tiers of the industry, and creating global mega-mergers that drive down choice and increase monopoly power. P.C. : Keep your independent seal, your pride and your zeal for brewing, but let’s be united as an industry. There are other enemies we all must fight together.